The average price of a Canadian home has fallen by 5.5 per cent to $455,000 over the past 12 months, the Canadian Real Estate Association said Friday. The group that represents 125,000 Realtors across the country says sales were higher in January than in December, but they were still below the level seen in January 2018 — a month that CREA at the time said was historically bad for the housing market because of new stress-test rules that had just been implemented. 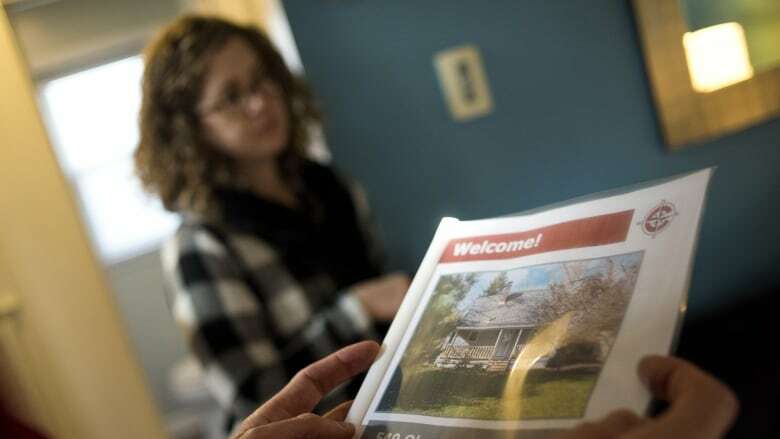 The rules, aimed at making it harder to get a mortgage, poured cold water on the housing market, CREA says, causing a sales slump that persists. "Homebuyers are still adapting to tightened mortgage regulations brought in last year," CREA president Barb Sukkau said. CREA said 23,968 properties were sold through the Multiple Listing Service in January, down from 24,977 a year earlier. 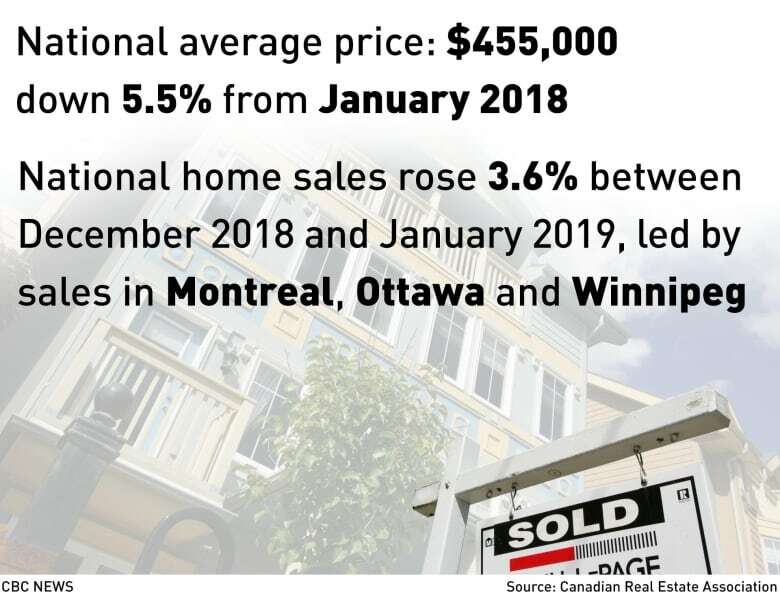 Prices have also slumped in many markets, although CREA said the average price figure can be misleading because expensive markets in Toronto and Vancouver skew it higher than it would be otherwise. So the group said a better gauge of the market is something it calls the Home Price Index, a number it calculates by adjusting for the size of different housing markets and types of homes. That figure has risen by 0.8 per cent in the past year, the smallest it has been since last summer. But even that flat figure belies some wild swings across the country. In the Greater Vancouver, the HPI has fallen by almost five per cent in the past year, and it's down by almost as much in Calgary, Edmonton, Regina and Saskatoon. Prices have increased by more than nine per cent in the past year on Vancouver Island, meanwhile, and by seven per cent in Ottawa, Guelph, Ont., and the Niagara Region area.